Forensic toxicology is an essential component of many types of medical or legal investigations. The field of forensic toxicology covers a variety of crimes involving anything from prescription medications to recreational drug use. 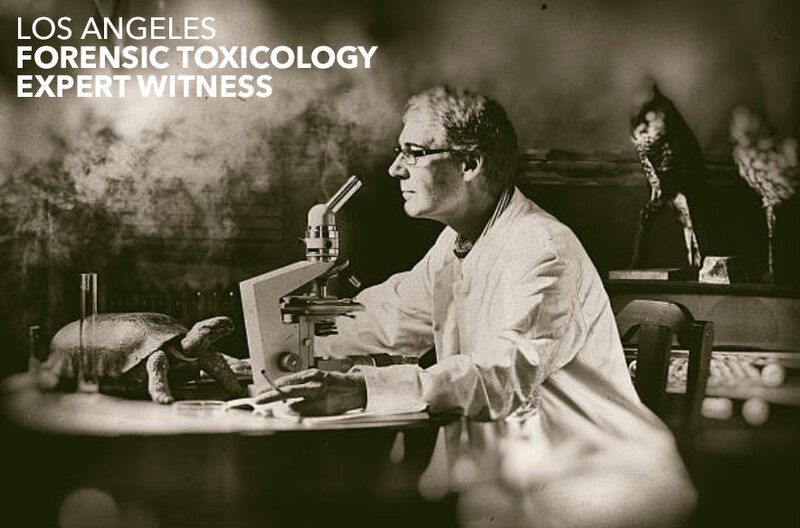 Many of us are aware of how police officers and attorneys use forensic toxicology but the history of forensic toxicology is often overlooked. We have all encountered the field of forensic toxicology in some way or another, be it in crime investigation, television programs, or in well-known court cases. But forensic toxicology has a history that goes back much further. It has been around for hundreds of years. In approximately 50 000 BCE, prehistoric people were applying poison to spears for hunting animals. This might not fall under forensic toxicology, but we can see that, even then, people were using poisons to kill. More advanced developments in this area of science occurred in the 19th-century. Mathieu Orfila, was a physician and chemist working in France who is hailed as the “Father of Toxicology”. In 1814, he wrote “Traite Des Poisons” which described the symptoms of different poisons and outlined poisons used by criminals. He looked at samples such as blood, as well as the different effects of poisons and he tested their presence in the body after death. There were numerous criminal cases in which Orfila was asked to be a medical expert and to testify. This is not too different from the expert witnesses of today. The 19th-century saw a great deal of work done around forensic toxicology as the field gained traction. These advancements were probably since poison had become an all-too-popular method of murder. The first trial to rely on forensic evidence occurred in 1840. Orfila was an expert witness in this ground-breaking case. He used James Marsh’s accurate arsenic detection test. Marsh developed this in England four years prior to the trial. Orfila’s and Marsh’s research paved the way for toxicology and legal cases. Law, science and medicine were advancing greatly. The Arsenic Act of 1851 was passed in the United Kingdom. It stated that arsenic had to be colored with indigo or soot. This was in response to the alarming number of accidental (or deliberate) poisonings due to its lack of color. Arsenic sellers had to keep written and signed documentation of who they had sold their products to and what they were being used for. This aimed to lessen cases of poisoning. Forensic toxicology’s history moves closer to home in 1918 when the Medical Examiner’s Office and Toxicology Laboratory was created in New York. Dr Alexander Gettler is known as the father of American toxicology. He was the chief forensic toxicologist at the laboratory and played a significant role in making this a world-renowned toxicology laboratory. After World War II, the American Academy of Forensic Sciences was created, followed by the American Board of Forensic Toxicology in 1975. These developments protected citizens and created improved methods of testing and controlling substances. They also contributed immensely to forensic toxicology in America and the rest of the world. Forensic toxicology has a rich and fascinating history. For hundreds of years, this interesting area of science has been of great benefit to countless criminal investigations, cases and trials. It brings to light both justice and the truth. Today, advancements in technology have broadened and deepened this scientific area, making it even more valuable to the world. Forensic toxicology will continue to remain important and relevant for hundreds of years to come.